We want to make sure you feel right at home - from the first time you step through our door. Here at First Baptist Church of Estero we hope you find a place to believe, belong and become all that Christ intends. With that in mind we have created environments where we hope you feel at ease. For Sunday morning Sunday School and Worship Service feel free to come dressed as casual or as dressy as you’d like. During the service we will not single you out in front of the congregation. Our music varies from hymns to more recent contemporary Christian music and our teaching time is provided by our pastor or special guest speakers. If you can make it a little before Sunday School or Worship Service, we invite you to take advantage of the coffee and snacks provided in the Cafe area of our Education Building. On Wednesday nights we have different opportunities for you to get involved. Our youth group meets for a time of worship through songs, teaching and games. The Children’s ministry host truth seekers and mission friends to teach the truths and actions of Christ to our young generation. Adults can take part in our weekly prayer meeting or volunteer in the Children’s or Youth Ministries. We invite those 60 years and over to check out Caleb’s Crusaders, which provides an opportunity to connect with others and serve the Lord. We are a church who loves our church family as well as our local community and often host events to help us all connect and build meaningful relationships. Events such as our Fall Festival, Easter Eggstravaganza, Dessert Auction and many more are always a great opportunity to meet people and get plugged in. Thank you for checking us out. We hope you will give us the opportunity to meet you and invest in your life. Guest parking is located in designated areas on the paved parking lot. Our services are usually between 80-90 minutes long and include a time of worship and a faith filled message, followed by opportunity to fellowship. Where are your restrooms located? Restrooms are located in the Education Building which is adjacent to the Sanctuary. Will I be required to give money? We believe in God’s principle of sowing and reaping and we take up an offering during our service. This is voluntary and visitors should not feel pressured to participate. Do you have a program for the kids? We offer safe and exciting services for your little ones. For more information and a list of details visit our Children’s ministry page. 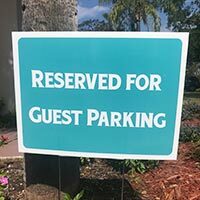 We would love to have the opportunity to give you a special welcome to First Baptist Estero so giveus a “heads up” about your visit and we will get everything ready for you and your family.